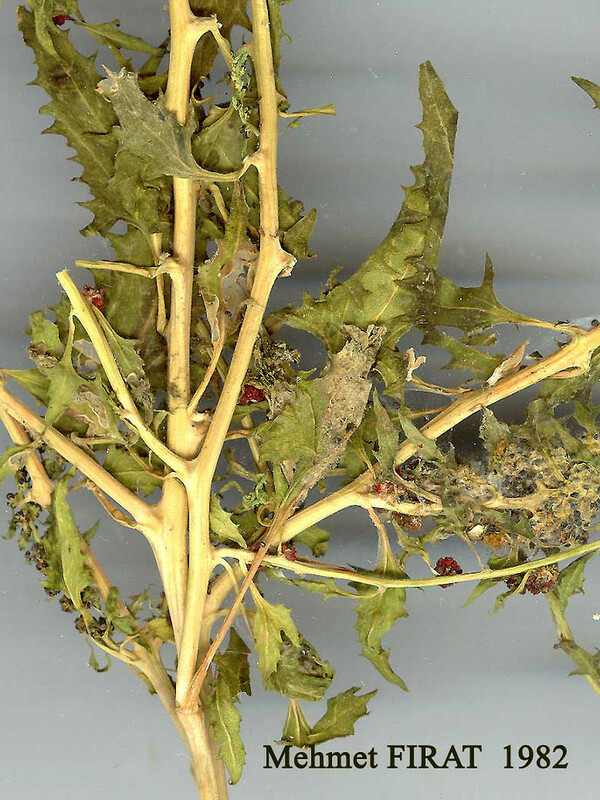 Leafy goosefoot is an occasional visitor to New England, hailing originally from central and southern Europe and western Asia. 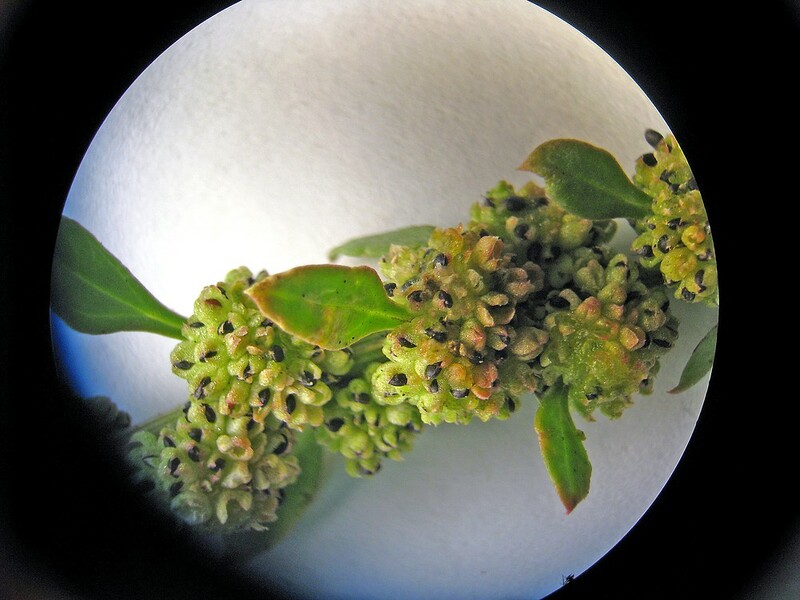 It has been collected in Massachusetts and Maine in disturbed areas. 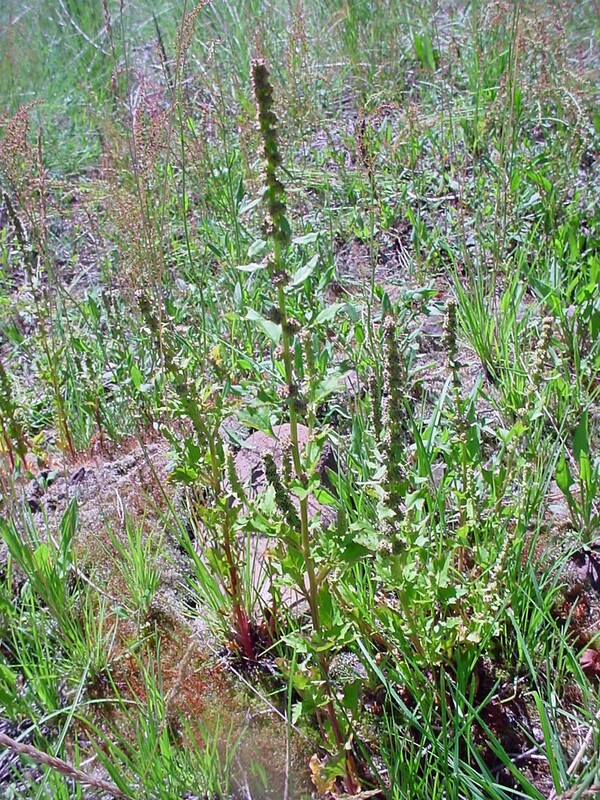 This plant was formerly cultivated for its edible leaves. 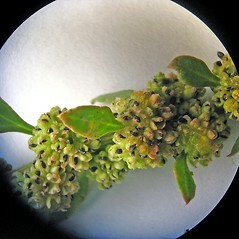 glomerules of flowers/fruits without subtending leaf bracts, except for the lower one or two (vs. C. foliolosum, with glomerules of flowers/fruits subtended by leafy bracts, except sometimes the uppermost ones). 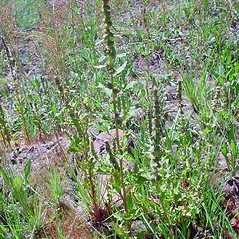 leafy goosefoot. 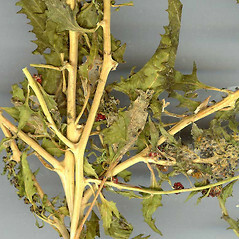 Blitum virgatum L.; Chenopodium virgatum (L.) Ambrosi • MA, ME. Fields, waste areas, disturbed soil.